Submitted by ken on May 18, 2007 - 11:39pm. 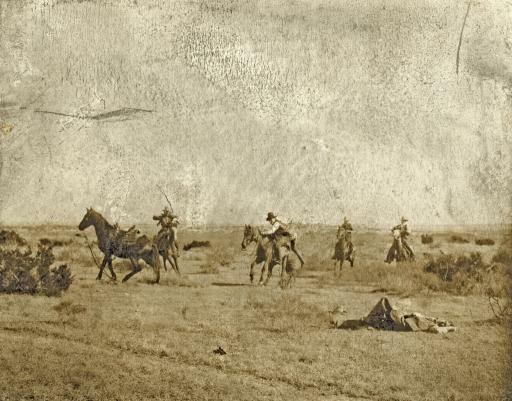 Photograph shows a cowboy on the ground after being thrown from his mount and other cowboys on horseback coming to his aid, on the Turkey Track Ranch in Texas. Photographed by Erwin Evans Smith, c1906.